We think these panels are the best of their kind. In fact we think they are currently the only ones of their kind. Designed to not only heat water efficiently from the suns energy but also to withstand the harsh corrosive effects of salt water and spray. 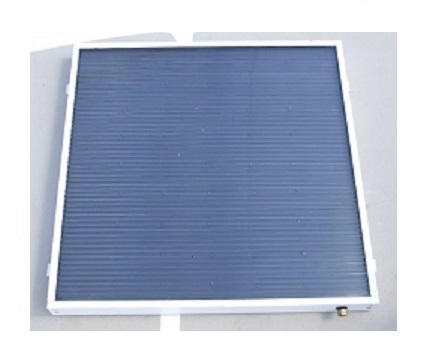 The MH-38 panel was developed over time from the Heliatos SW-38 which is as equally robust and efficient for solar water heating. These light weight and low profile panels were being bought and installed on the roofs of beach houses where they were exposed to salt in the air. Heliatos took what was already a great product and improved it to withstand corrosion making it even better. These panels are now being installed on ocean going vessels and heating water every day with no ongoing costs.